To build stylish wooden tables with pallets, is really becoming a popular activity across the sea! 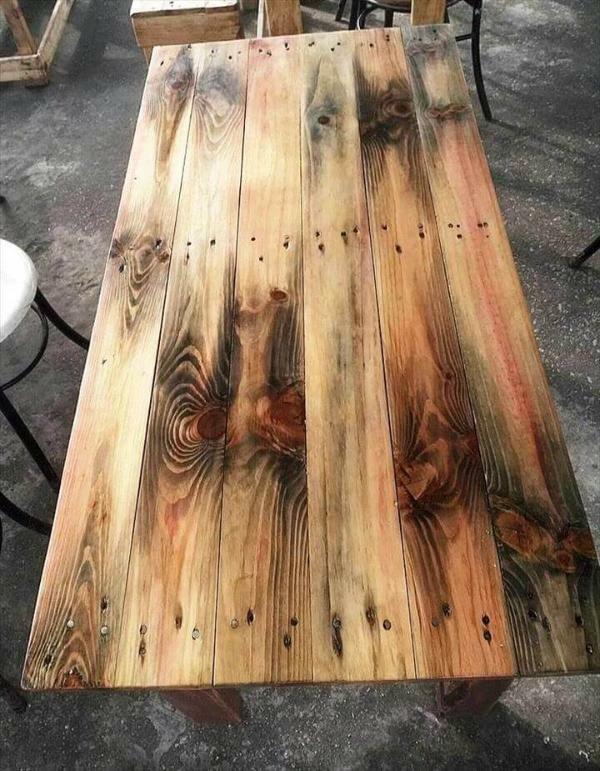 For those who really wish to live those past days again and just a big fan of vintage furniture and decors, we are presenting here this DIY scorched pallet coffee table, built to inspire and will rock in your vintage inspired living room! 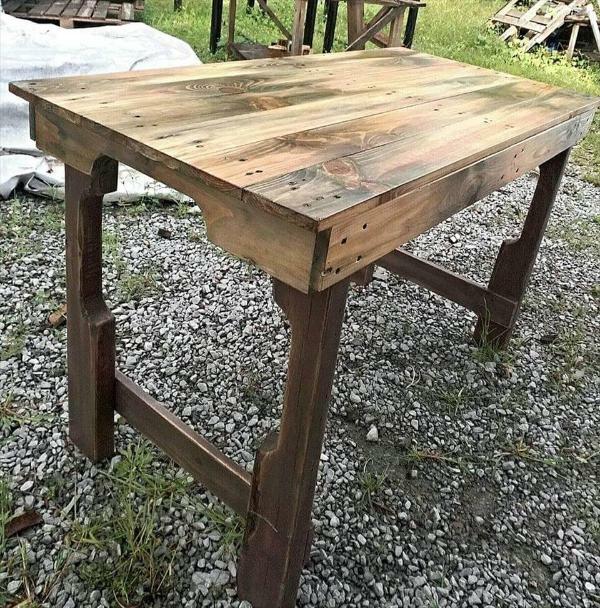 Table dimensions have beautifully been planned and one with separated straight boards of pallets and the removed pallet stringer boards build the legs of the table and tabletop frame! A set of 6 pallet slats which are equally long and thick too, has been put flat over the top frame for a solid tabletop! 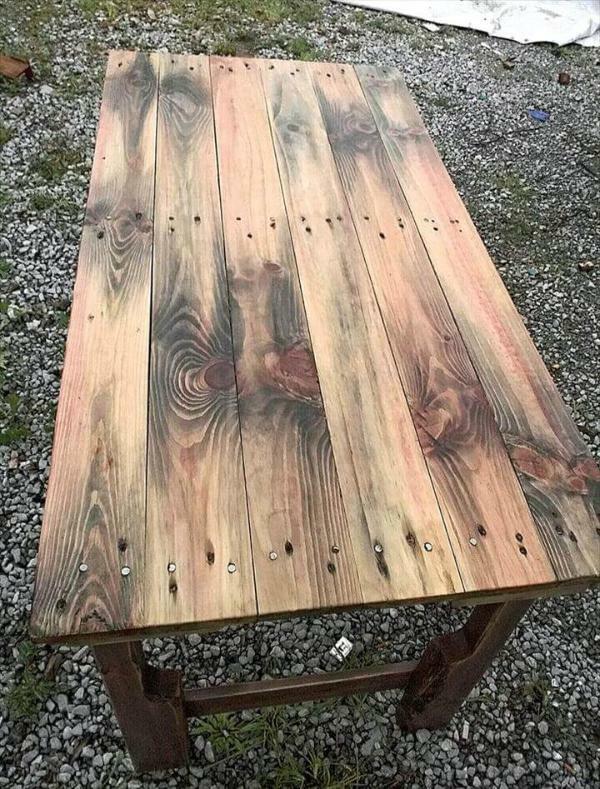 Add nails to hold all the wooden lengths in place and one can even prefer screws to do this! For perfect antique or vintage inspired appeal, finally a hot fire treatment has been given that bring rustic spots to wooden surfaces! Legs are made of individual pallet stringer boards which have been added with cross supports for more stability! The hot fire flame treatment also reveals the natural wooden patterns or lines which are just amazing to look at! Prefer paint for a modern visual, go with stain to vary the tones of wood and finally you can lock the surfaces with a popular wood sealant to avoid early weathering!